Paquita, by the Paris Opera Ballet, was a distinct and beautiful jewel that stood out in the line of this fall’s cultural programming. It was remarkable on many levels. The dancers of the Paris Opera Ballet had not set foot in Quebec since Expo 67, nearly 50 years ago. It was also the first time that Paquita was presented in Quebec. This passage in Montreal marks the last tour of Brigitte Lefèvre, director of dance of the Paris Opera Ballet, who will be retiring in November. Joseph Mazilier first created Paquita for the Royal Academy of Music of France in 1846. 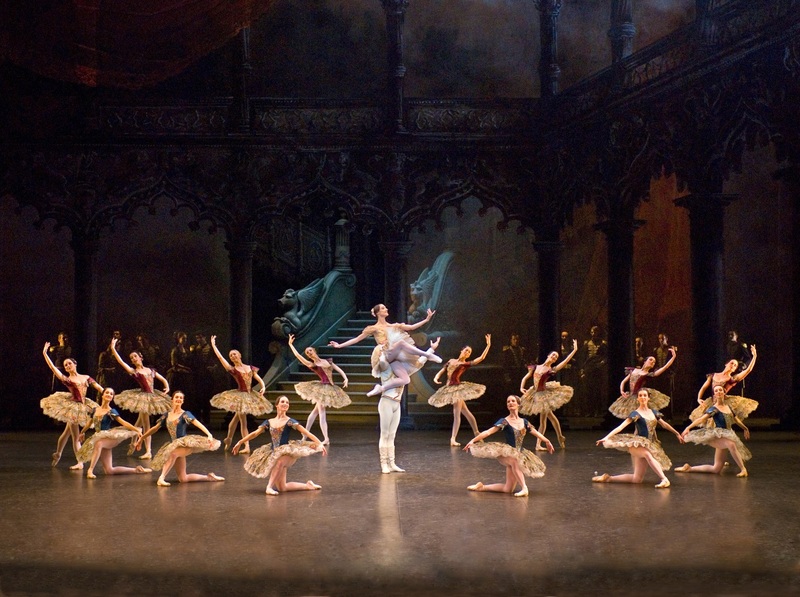 A piece of history, Paquita is an example of a French-style ballet that was exported to Russia. Pierre Lacotte adapted and choreographed Paquita for the Paris Opera Ballet back in 2001 at the request of Brigitte Lefèvre. The Paris Opera Ballet is the oldest classical academic dance company, but also one of the youngest with the average dancer being 25 years old. “To host the Paris Opera Ballet in Montreal was at the top of the list of things I wanted to accomplish in my career,” said Gradimir Pankov, artistic director of the Grands Ballets Canadiens. Pankov had been working on inviting the Paris Opera Ballet for the past 12 years. The star dancers of Paquita were Amandine Albisson, Alice Renavand, Josua Hoffalt and Karl Paquette. Guest conductor Fayçal Karoui directed the music with the Grands Ballets orchestra. Edouard-Marie-Ernest Deldevez and Ludwig Minkus conceived the music, with an adaptation and orchestration by David Coleman. Luisa Spinatelli designed the decor and costumes. This classical ballet is set in the valley of the bulls in the province of Saragossa, Spain, under the occupation of Napoleon in the 19th century. Gypsies had kidnapped a young girl named Paquita from a noble family. Later, she saves a young French officer, Lucien d’Hervilly, from a criminal conspiracy. The story ends at a ball given by Governor Don Lopez of Mendosa, where the kidnapping culprits are arrested, and then Paquita can marry her handsome officer after discovering the secret of her birth. The first act started with a foggy and veiled scene set in the mountains, which then transformed into a fluid and vaporous dance. The tapping of the dancers’ ballet slippers echoed from the stage. The women’s costumes varied from dresses of ochre tones to light pink and blue ball gowns, whereas the officers sported toreador costumes in blue or raspberry colours. Spanish gypsies and villagers mingled while Spanish women drummed on their tambourines, children in yellow costumes dancing in circles. The second scene was set in a gypsy abode where Paquita played a game of hide and seek with the men. The second act took place in a ballroom in the residence of the French general where count and countess presided. The dancers’ tutus at the ball were reminiscent of sparkling sunshades. Paquita was a visual feast for spectators. The dancers were well rehearsed and synchronized to perfection; the premiere on Oct. 16 celebrated their 89th performance. The ballet respected a particular hierarchy of dancers, from the star to the first dancers, to the subjects and the coryphées, to the quadrilles. It blended drama with some humour on the part of the clumsy Paquita character. Spectators in the theatre were bewitched, warmly applauding on multiple occasions throughout the presentation. The almost flawless performance received a standing ovation. The major downside of Paquita was that the unfolding of the story is not easy to follow, when one is not already entirely acquainted with the plot. The Grands Ballets Canadiens presented only five shows of Paquita at the Salle Wilfrid-Pelletier of the Place des Arts, from Oct. 16 to 19. For more information on the upcoming shows of the Grands Ballets Canadiens, visit grandsballets.com.